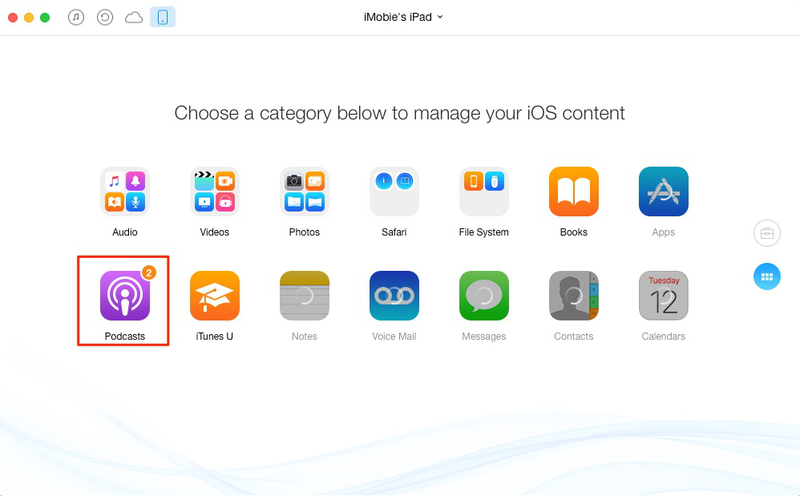 How to Delete Podcasts from iPad Easily -iMobie Inc.
Want to delete multiple podcasts from iPad but do not know how? After reading this guide you will get the exact solution. Go to download AnyTrans on computer to manage your iPad data after reading this guide on how to delete podcasts from iPad. For iPad users who listen to podcasts frequently, you may find that they can take up a large amount of space on your iPad. With the time goes by, you just cannot add new podcasts or any other things to your iPad. In this case, deleting some old podcasts is a great way to free up space on your iPad. 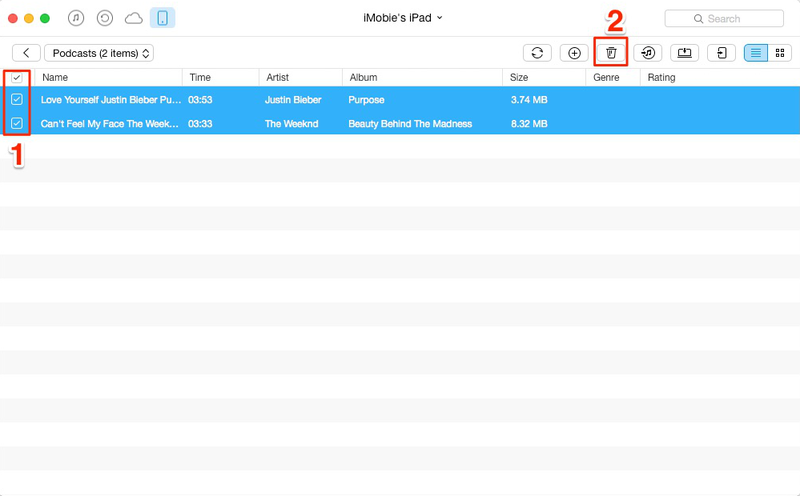 This iMobie Guide Page will show you 2 methods to help you remove podcasts from iPad. iPad Pro is Apple's latest and most novel product to the iPad lineup, have you bought one? If you are not sure whether you should buy iPad Pro or not, you can check iPad Pro FAQ, Top Features, and Facts to help you make a final decision. 1. Open Podcasts app > Find the podcasts you want to delete > Swipe to the left > Tap Delete. 2. Settings > General > Usage > Manage Storage > Podcasts > Find the podcasts you want to delete > Swipe to the left > Tap Delete. As you can see, you can only delete podcasts one by one. It is a time-consuming job for you to remove a large number of podcasts from iPad. Here, we offer you another method to help you delete multiple podcasts just in minutes. AnyTrans, an easy-to-use iOS content manager can help you delete a lot of podcasts without effort. It allows you to delete all or selected podcasts at once. Besides podcasts, it also supports deleting photos, songs, contacts, notes and more on your device. Not only that, as an all-in-one iOS data manager, AnyTrans supports multiple transferring directions, you can easily transfer more than 20 kinds of data including podcasts from iDevice to iDevice, iDevice to computer/iTunes and vice versa. So why not click here to download AnyTrans? Then follow the steps below to remove podcasts from iPad with ease. Step 1. Launch AnyTrans > Connect your iPad to computer > Tap on > Click on Podcasts. Step 2: Select the podcasts you want to delete > Click on Delete button.